Wudassie is an articling student in Gowling WLG's Ottawa office. She completed her law degree at Osgoode Hall Law School. Wudassie graduated with distinction from Queen's University with a bachelor in arts (honours) in political studies and global development studies. During her time at Queen's University, she served as the managing editor for the undergraduate peer-reviewed publication, Politicus Journal. In law school, Wudassie was an active member of the Osgoode Hall Law community. She served as the student contributions editor for the Osgoode Hall Law Journal and as research assistant to esteemed professor Obiora Okafor. She also supported work on the "International Law in the Global South Research Seminar Series" as well as the annual "Oputa Lecture" series, hosted by the Jack & Mae Nathanson Centre on Transnational Human Rights, Crime and Security. Wudassie was a division leader with the Osgoode Mediation Clinic, where she mediated cases in the North York community and in Small Claims Court. In this role, she also helped raise awareness and provide citizens with greater access to alternative dispute resolution options. Committed to community involvement, Wudassie is an active member of the Ethiopian communities in both Ottawa and Toronto. She previously served as an executive member of a local support group for young Ethiopian and Eritrean women living in Toronto. 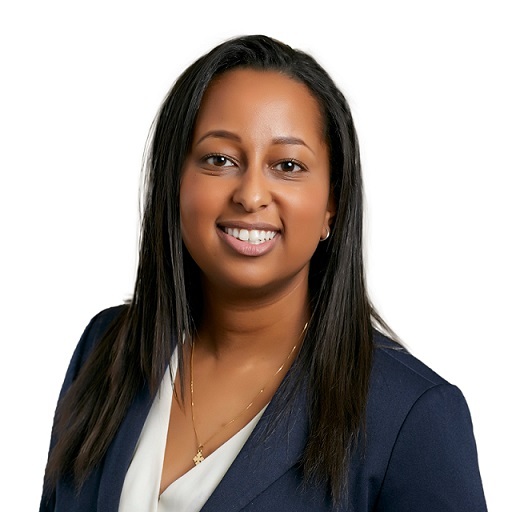 Currently, she supports young Ethiopians through the work of the Professional Association of Ethio-Canadians in Ottawa. As a result of her efforts, Wudassie is a recipient of the 2017 Bikila Academic Excellence and Scholarship Award. Wudassie previously worked as a junior planning analyst with the Public Health Agency of Canada. She speaks English, French, Amharic (the official language of Ethiopia), and conversational Spanish. Wudassie will focus her articling with intensive rotations in the Advocacy and Business Departments.